Entrepeneurs Adventure Immigration Services Inc.
Business immigration programs are designed for successful business people who are seeking new opportunities in Canada. Entrepreneurs, once in Canada, are required to control at least 1/3 of a qualifying Canadian business in Canada (see the table below) as per R88. 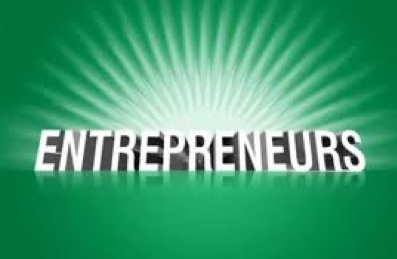 The Entrepreneur Program seeks to bring experienced business people to Canada. These people must plan to own and manage a business in Canada that adds to the economy and creates jobs. Note: CIC is not accepting applications for the federal entrepreneur program at this time. CIC will only process applications received before July 1, 2011. This temporary pause will go on until further notice. For each selection factor, a specific number of selection points are allotted. If you have a score lower than a total of 35 points, your application may be refused. Entrepreneurs must have business experience (see the table below). They must have managed a qualifying business and controlled a percentage of equity of a qualifying business for at least two years in the period beginning five years before the date of application. Create at least one incremental full-time job equivalent for one or more Canadian citizens or permanent residents other than the entrepreneur applicant and their family members. Entrepreneurs are required to sign a declaration stating they intend and will be able to meet the conditions of permanent residence. All family members are admitted under the same conditions as the principal applicant; the conditions are removed once the entrepreneur satisfies the conditions. Under the Canada-Quebec Accord, the province of Quebec operates its own immigrant entrepreneur program, and Quebec-selected entrepreneurs are subject to Quebec’s own conditions rather than federal conditions. All entrepreneurs in the Quebec program must intend to live in Quebec and must be selected by Quebec. In common with the federal programs, entrepreneurs in the Quebec program must have a net worth of $300,000. If you do not qualify under the Federal Program, you may be eligible to apply under Provincial Business Class. For further information or questions regarding Business Class requirements, please feel free to contact our office. If you would like to know whether you could be eligible to immigrate to Canada in the Business Class category, we invite you to complete our online assessment questionnaire: On-line Assessment Questionnaire. As of June 25, 2011 no new federal Entrepreneur application will be accepted unless it is received by the designated Citizenship and Immigration Canada office prior to July 1, 2011. This temporary moratorium will remain in place until otherwise indicated in a future Ministerial Instruction. Interested in knowing more about Business Immigration? INVEST IN CANADA. Canada’s Winning Formula.